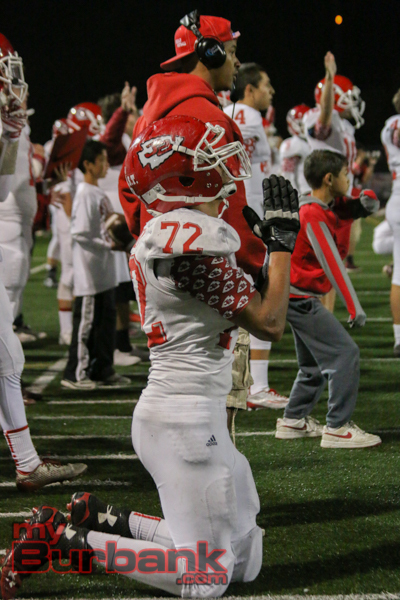 The Bulldogs came out ready because a win would give them a share of the Pacific League title along with Burroughs. 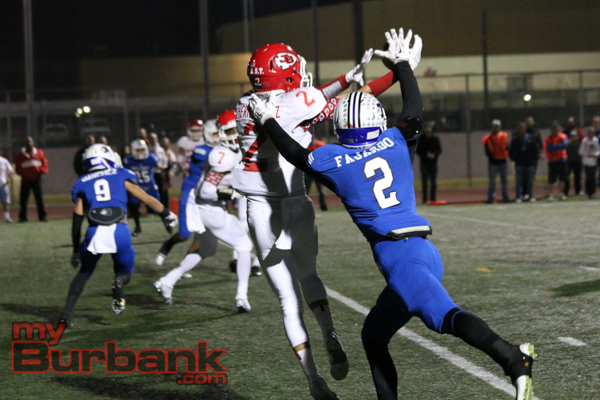 Burbank showed it deserved a piece of the crown early on, but faltered in the second quarter and second half as Burroughs prevailed, 47-21. 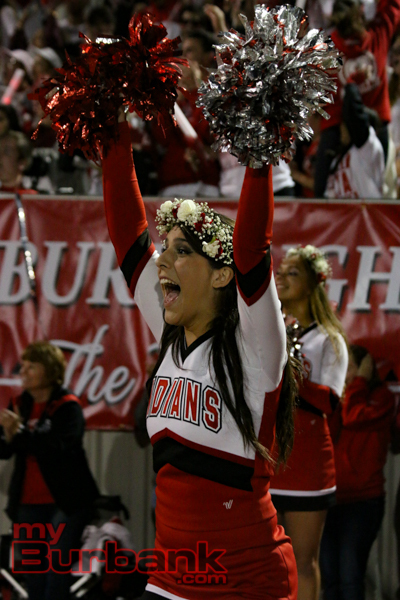 The Bulldogs led 14-0 as the Indians struggled early. 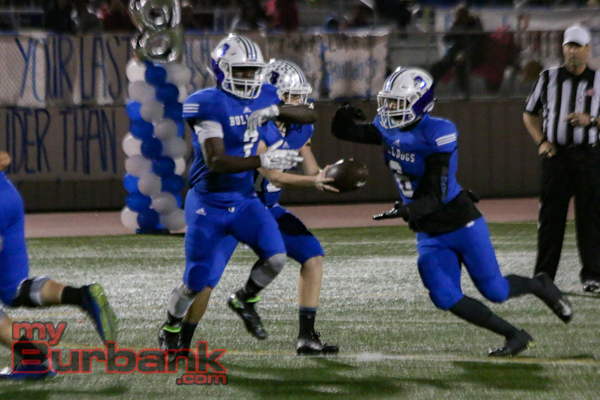 Burbank took a 7-0 lead on a 54-yard pass from junior quarterback Guy Gibbs to junior wide receiver Forest Fajardo and 5:01 left. 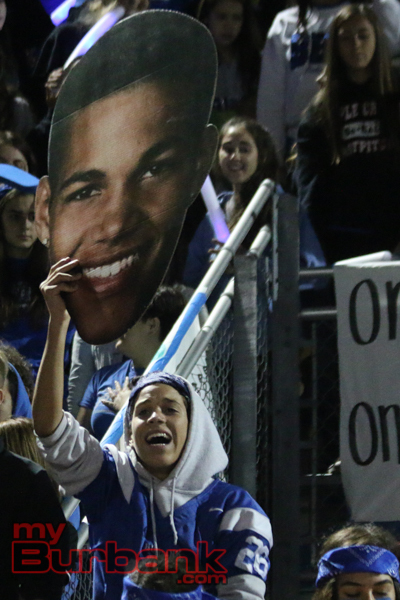 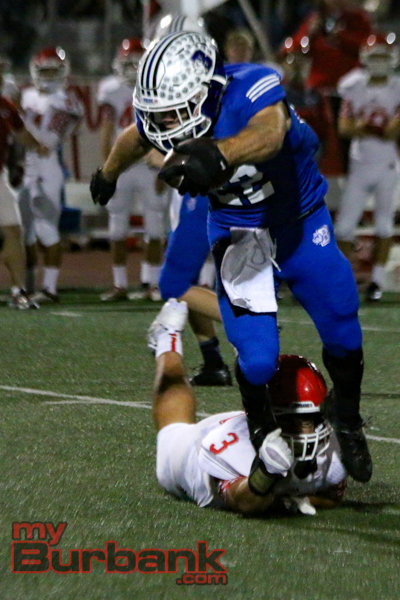 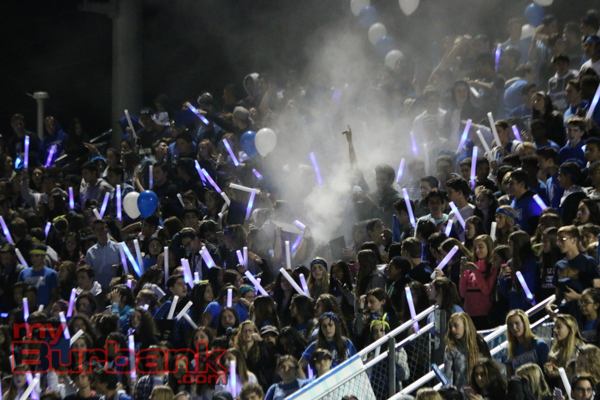 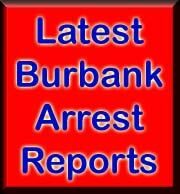 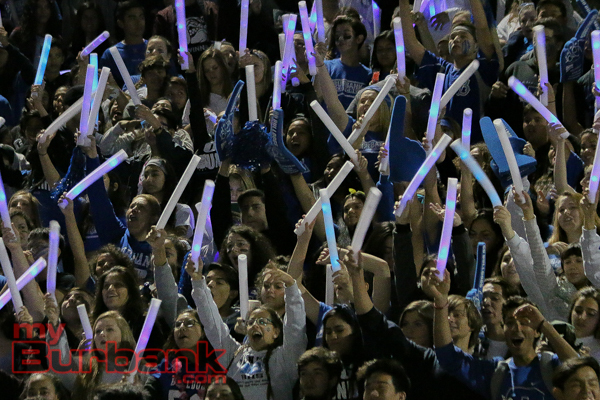 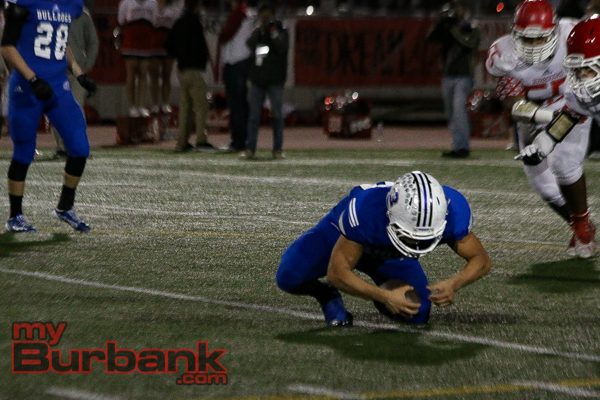 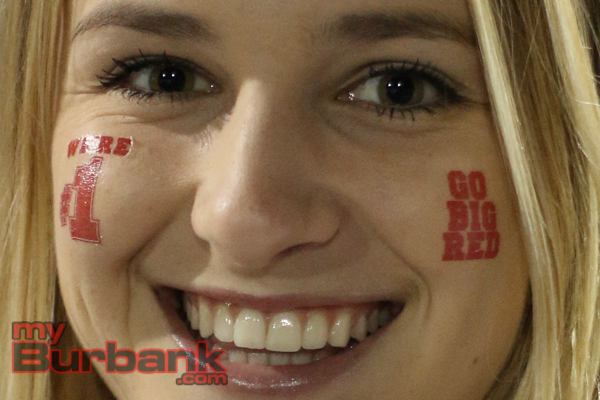 Burbank’s lead became 14-0 when Gibbs hit senior wide receiver Max Weisman with a 37-yard pass and 1:42 left. 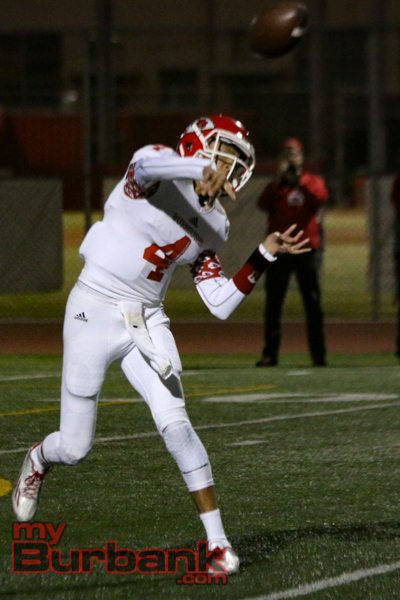 The Indians answered with a touchdown as senior quarterback Steven Hubbell threw a 55-yard pass to senior wide receiver Robert Awunganyi late in the opening quarter. 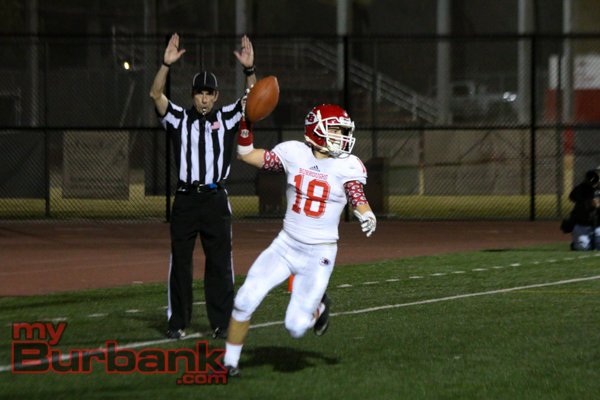 With 3:54 left in the second quarter, Hubbell hit senior wide receiver Erick Hernandez with a 39-yard pass as the Indians came within 14-13. 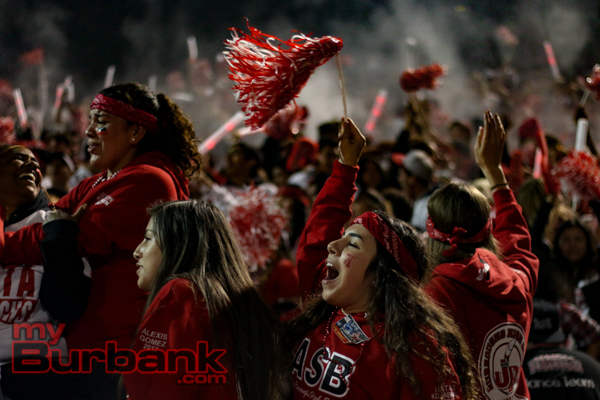 When Hubbell located senior wide receiver Cade Borland with a 13-yard toss and 21 seconds remaining in the half, Burroughs led 19-14. 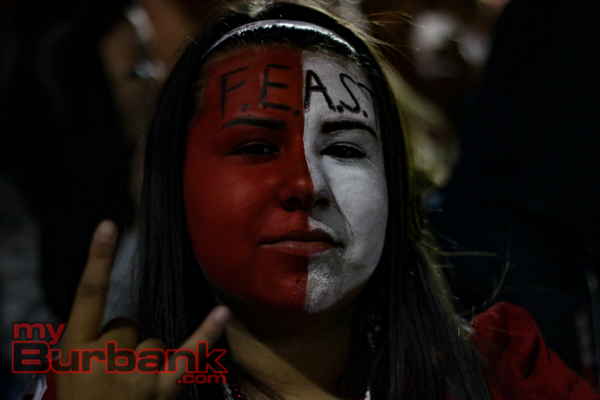 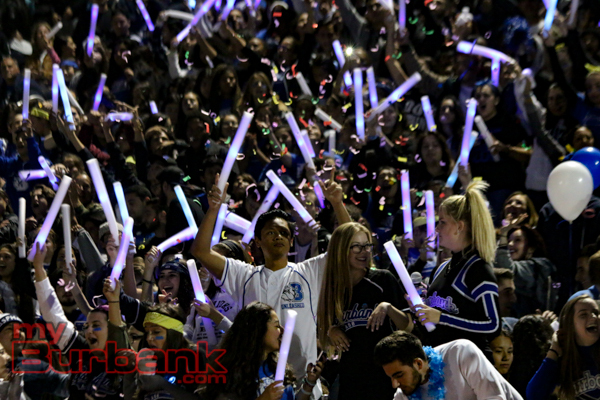 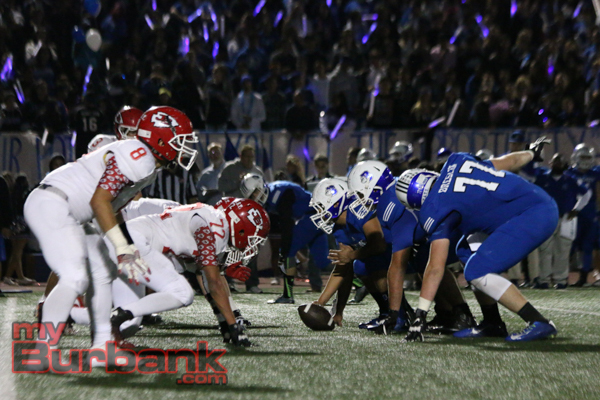 The game had been intense and on the edge from the start as Burbank seemed to have the flow of things early on. 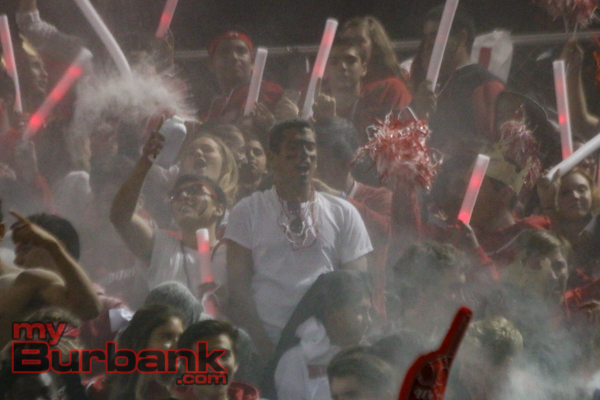 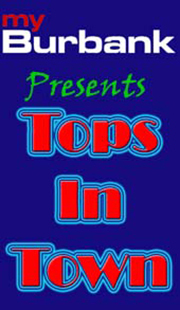 Now it seemed the Indians got the momentum on their side as they came out in the second half and scored four touchdowns. 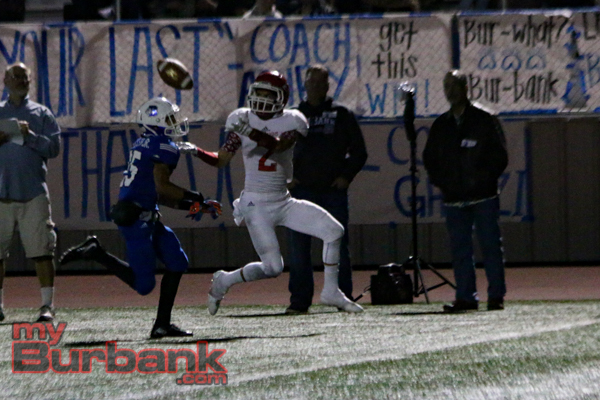 “It was definitely hands down the coaches. 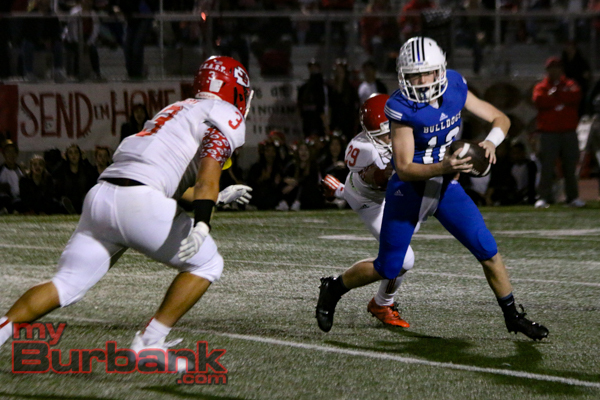 They prepared us really good and it was a great game plan and I just followed everything that they said,” said Hubbell, who completed 17 of 28 passes for 265 yards, of his performance. 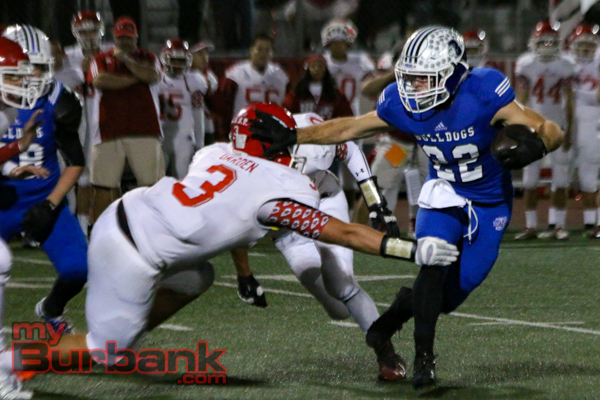 Junior running back Chance Bell came into the second half ready to produce as he scored on a 76-yard run early that gave the Indians a 26-14 advantage. 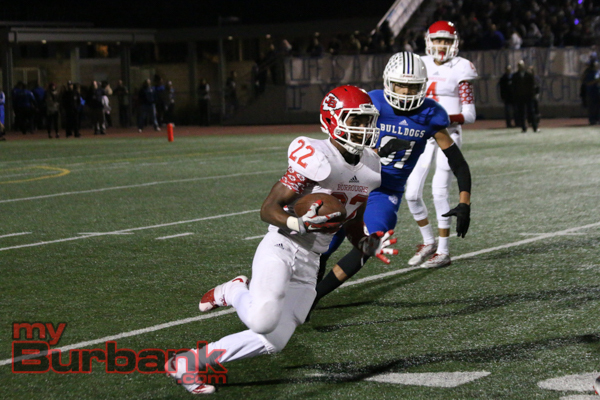 Burroughs had a scoring pass from Hubbell to senior wide receiver Nick Mercado late in the third quarter that made it 33-14, and added a 32-yarder to Awunganyi midway through the fourth quarter for a 40-14 advantage. 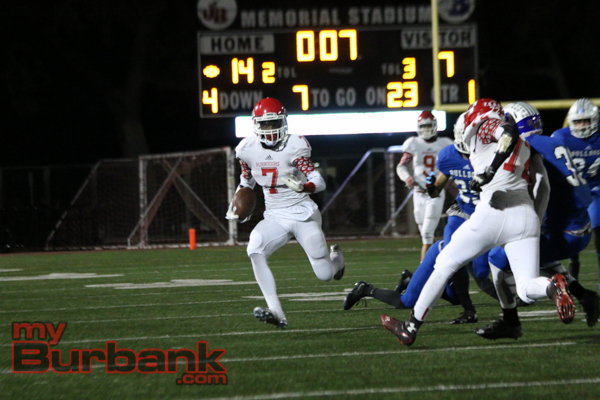 Senior running back Ash Hawkins had a 31-yard run late in the fourth quarter for a 47-21 lead. 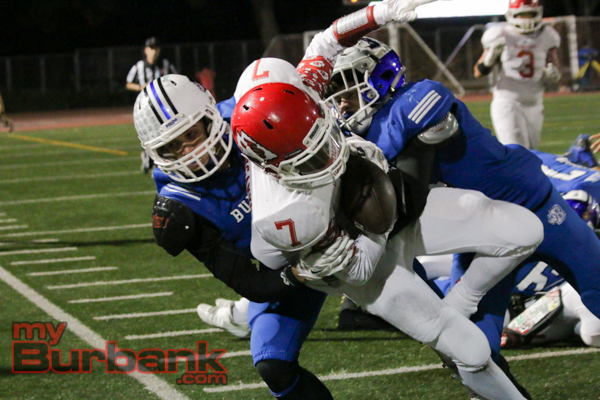 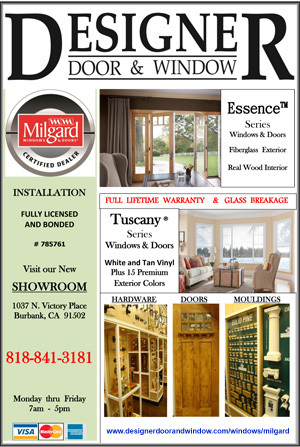 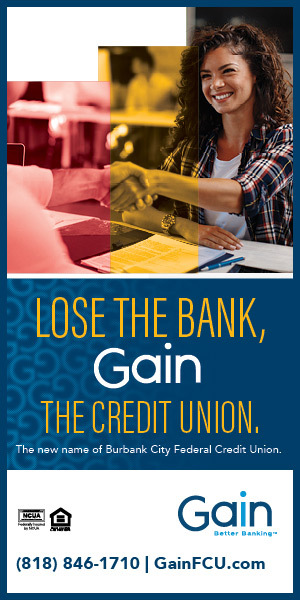 This entry was posted in Big Game, Sports and tagged Big Game, Burbank, Burroughs, Pacific League on November 7, 2015 by Rick Assad.